What did you get up to on New Year’s Eve? I decided to start the year as I intended to continue, right where I belong, in church! My church had a joint service on New Year’s Eve with the Brazilian church that rents from us. It started at 22.30 and ran into New Year’s Day, with a bring and share meal at the end. The service was bilingual, (English and Portuguese), it was great! 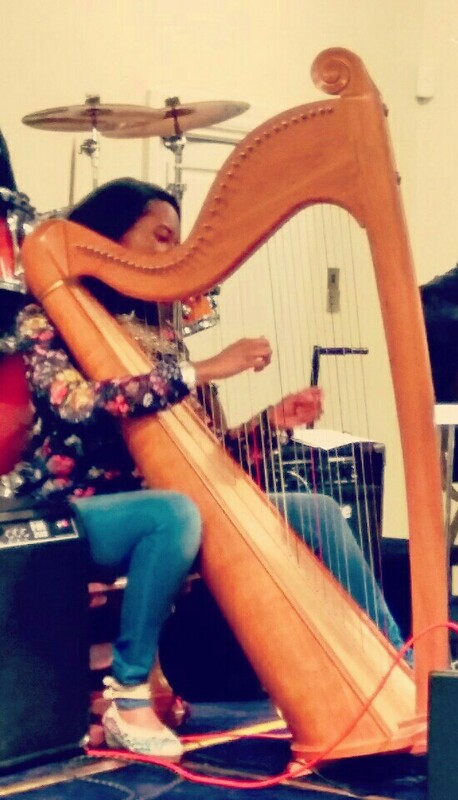 As the Pastor of Music for our church, I led our worship set and also played my harp in the joint worship set on New Year’s Day. I really enjoyed myself! 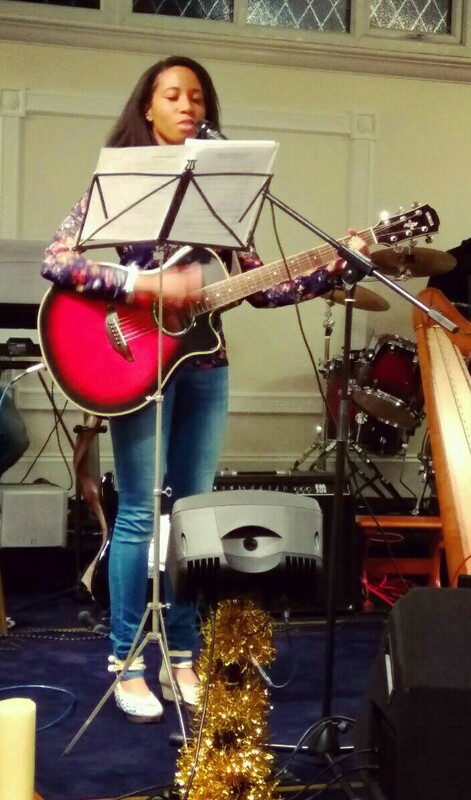 Another thing I liked about New Year’s Eve was that I got to collaborate with people from different cultures and musical backgrounds! Experiences like that are incredibly precious and to be cherishe, you never know what you might learn! Concluding thoughts on my evening? It’s good to be in Gods house! If you don’t know Jesus a your Lord and savior, perhaps make it your New Year’s resolution to find out? I suggest you talk to your Christian friends and make an effort to go to church to see what Jesus is all about! I can personally say that Jesus transforms my life everyday! Try Jesus this year! Very cool that you were able to collaborate with different cultures creating music! Happy New Year! God is good!